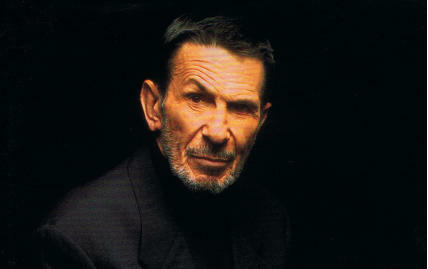 The idea for Primortals came from him doing research for Star Trek IV, Leonard Nimoy says in an interview at the end of issue #1. One of the projects that caught his interest then was the SETI program. SETI (Search for Extraterrestrial Intelligence) listens for signals from planets that might contain intelligent life based on the premise that if we broadcast radio signals from Earth, the same might be true of other civilizations out there. The question of what would happen if that signal actually was received stayed with him and found it's creative outlet in the Primortals comic book series he and Isaac Asimov were asked to create. The concept of who the Primortals were came from Asimov, Nimoy says. In Asimov's words they were "the descendants of some creatures that were taken off of the planet millennia ago by some aliens who were visiting here, and discovered that Earth was going to suffer a terrible meteorite shower disaster." Nimoy continues to explain that "These species were taken away because they had the best chance of evolving into intelligent creatures. They have evolved into an intelligent race, and they are now coming back in these ships. So, they're coming home, in a sense. 'Who's been sleeping in my bed' is what they have in their minds." A revolt has been put down on Achernar 3 by the Primaster's fleet. It's leader, Zeerus, and his followers were apprehended and imprisoned on the hastily rebuild flagship. Before trouble arose in paradise, it was used to transport passengers from one colony to another. The modification resulted in shaky security systems that could easily be overcome. Naturally, the villain manages his escape, helped by sympathizers on the Primaster's ship and his followers, who create a diversion by taking hostages. Meanwhile, on Earth, a listening post picks up a signal from outer space that is verified to be of an artificial nature. Not only is somebody calling Earth, they're on their way to pay us a visit, too. On Earth the people involved are still busy trying to confirm the signal is authentic and to rule out any stray military and government activity or natural phenomenon that could be responsible for a false positive. Figuring out what the signal is about has been relegated to a back burner for the time being, almost giving Zeerus apoplexy while he's waiting for an answer from humanity. Meanwhile, he watches broadcasts from Earth that have him confident that it's war-minded populace will meet his needs. His plan is to deceive Earth into believing that Primaster's fleet is the enemy. One small drawback for him is that his ship isn't equipped for the translation of extraPrimortal signals and he hits another level of frustration because if he can't talk to them, he can't poison them with his lies. On the flagship the situation escalates when the rebels threaten to torture and kill the hostages if their demands aren't met. Primaster, despite seeming to have a rather short fuse, still insists on abiding by the Paxus Majae, a code of non-violence and peaceful coexistence, when faced with how to deal with the ultimatum. Since their demands are considered outrageous, an emergency task force is assembled under the supervision of Prisar, a rhinoceros-like being. They come up with a plan to flush the rebels out since the hostages, otter-like creatures, are perfect swimmers and able to withstand the flooding of their compartment. On Earth, Prof. Karagigian, who is project leader for his SETI unit, is determined to stay ahead of the press, fearing that they'll spread global panic if the populace hears the news from them first instead of from informed professionals. Good luck with that, one is tempted to say, and as it turns out, a leak has already sprung. While Karagigian braves the journalists trying to get to his office, his assistant Stewart takes his girlfriend to a restaurant, pondering what's up next. When she voices her concerns that the message might be a warning of some sorts, he admonishes her, "Let's not get emotional. We need to be logical about this." Which, of course, provokes a mentioning of Mr. Spock. On Earth looting and religious hysteria have commenced. Prof. Karagigian gets chewed out for letting the news slip. People ask what the government is hiding. The government has no clue about nothing. The media knows it all. Stewart can't figure out the signal's content, and Primaster looses it. Putting aside the Paxus Majae, Primaster orders the pursuit of Zeerus and promises to deal with the rebel's allies on his ship personally. On Earth Jess, Stewart's girlfriend, complains that the news reports give her a 3D headache, providing the inspiration Stewart's approach to the problem was lacking in all the time. Soon he has part of the signal decoded. Whoever comes this way does so on purpose. Primaster has taken care of Zeerus followers, but not without damage to his ship. On Air Force One, the president of the United States worries about idealistic scientists inviting a bunch of aliens over for tea. In Boston, SETI is preparing a press conference, and Stewart gets a visit from a media tycoon, who's childhood dream was to communicate with extraterrestrial life forms. Primaster and his crew by now know that Zeerus is heading into forbidden territory, which leaves them concerned, because humans aren't considered ready for contact. Something Tyler MacMahon would disagree with. Ever since his father took him along to watch the stars and told him stories about the future and fantastic alien worlds, MacMahon was fascinated by the prospect of making contact. He is a major sponsor with the SETI program, and charms Stewart into agreeing to encode a message to the approaching signal source, wanting to make their "first contact with alien life a friendly one." With a media empire and his own satellite at his disposal, transmitting their response into space presents no problem. Zeerus signals back that he intents to warn them of a danger threatening the planet, and introduces himself as Lord Governor of Archenar 3 and Primortal Ambassador to Earth. Star Trek Reference: During the press conference one of the reporters asks if the signal might be coming from Earth's own Voyager space probe which is now returning. The United Nations convene to discuss how to handle the situation. Primaster is not happy about how he handled it so far, accepting responsibility for safeguarding the humans like his race, the Majae, had safeguarded the species they had taken from Earth in the past. He decides to sent a probe to Earth to warn them of Zeerus, not wanting to add to his mistakes by showing up with a fleet on humanities doorstep, giving the wrong impression. In addition, he and a select few board a smaller craft to sort it out in person. Prisar, his right hand man, is not happy about having to go unarmed on this mission. Meanwhile, SETI tells the press officially there is something coming, and Stewart and MacMahon get a reply from Zeerus in English. It says a war like race intents to invade Earth and gives coordinates indicating where he intents to land. At that moment, the FBI bursts in on them. Both are arrested for collaboration with a "non-allied and potentially unfriendly power." After the press conference, Prof. Karagigian finds his office sealed, but he gives a damn and enters it with Jess and the SETI director following. They discover Primaster's message hailing on the screen. The next minute they, too, are arrested.